If you are looking for a TV that offers superb performance and great design while still being affordable, then look no further as the Sansui SJX22FB 22 inch LED TV is what you are trying to find. 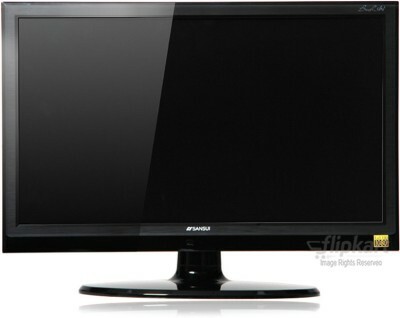 Outstanding Visuals The Sansui SJX22FB sports an LED-backlit LCD display which produces vibrant and defined images. By incorporating Full HD technology, which helps in delivering a resolution of 1920×1080 pixels, this TV is able to render crystal-clear pictures with heightened detail. Full HD TVs grant an image resolution that offers twice the amount of pixels that standard HD TVs do. With a high contrast ratio of 300000:1, this TV immensely brightens the darkest parts of visuals and precisely displays dark colours and shades. Furthermore, the Sansui SJX22FB offers many selectable picture modes that enhance your viewing experience. This TV has a colour display that presents 1.02 billion colours; witness the beauty of the RGB spectrum. The compact size and the slender design of this TV allow it to blend onto pretty much any wall in your house. Additionally, a viewing angle of 178 degrees lets almost anyone in the room to see everything that is happening on the display screen. Easy Connectivity If you are wondering how you can watch a movie that a friend of yours has with him, think no more as the Sansui SJX22FB comes equipped with a USB port. Hence, all you have to do in order to watch the respective film and other digital contents (music and photos) that are stored on the USB drive is obtain the data storage device from your buddy and connect it to your TV. You can also connect external HD sources such as a computer, smartphone, Blu-ray player or gaming console to your TV with the assistance of an HDMI cable to experience their data. Immersive Sound The Sansui SJX22FB gives an impressive sound output of 16 watts; music and movies will be that much more lively. Also, a 5-band graphic equalizer lets you enjoy the music that you like your way.